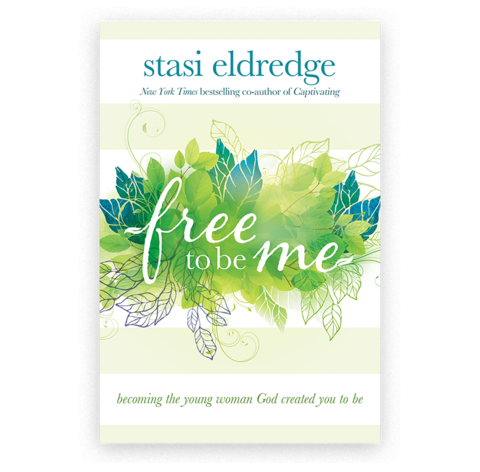 Stasi Eldredge's book "Free to Be Me" helps teen girls become the young women God created them to be. Embracing ourselves has everything to do with embracing the goodness of God’s creative work in us. It means trusting God, believing that all he has made is glorious and good. And that includes us. You are the only one who can be you. The world, the kingdom of God, and all those around you need you to embrace who you are created to be as you become more fully your true self. God wants you to be you. He wants you to offer you. He wants you to embrace you. So, who are you?